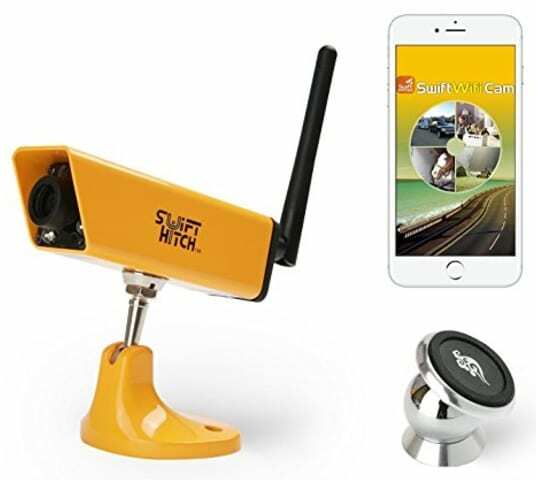 If you are looking for a device that not only helps you backup any vehicle safely, but also has many other uses when a wireless camera is needed, then this is it! Have you ever hooked up a trailer with some one behind going, “a little more . . . no, go to the left . . . okay, about a foot to go . . . hold on, go right . . . no, you’re to far . . . “, to which I am thinking, whose left! Yikes!! I had been hooking up trailers for years with this type of nonsense, so I decide to check the internet for a wireless camera backup system for a product to solve my dilemma! I needed a camera attached to the hitch. Hooking up my 5th wheel is like threading a needle. You have to get both truck and trailer right on, or risk damage to either one, or both. So, my criteria for my search was definitely a wireless system, as that is what the one truck camera already has, and works great. So I knew that type of system exists, but another camera like I have is $500, just for the camera, and a good combo system can be $750 to $1,000. I didn’t need audio with picture capability. With the right setup, I should be able to know when truck and trailer are hooked together properly! My research revealed a unit called Swift Hitch back up camera system. It’s a small hand held unit that the driver can use while backing to a trailer. The picture is in color, and is very clear. The camera unit is small and has a magnetic base that can be placed on any metal surface. They even sell a suction cup base that you can use of your truck happens to be aluminum, like mine. 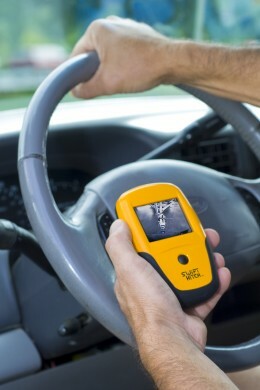 Both the hand held monitor and camera unit charge off of a 12v accessory port in your vehicle. I have hooked up flawlessly now for five years, without a “hitch,” so to speak, at the amazement of my wife and on lookers. There used to be nothing more embarrassing than taking 20 minutes to get hooked up, all the while the wife is screaming useless directions. With this, I get it lined up the first time, and when I here that click of the trailsaver hitch, I always think that this was the best investment I made for $249. At least that’s what it was when I bought it. They have come down in price a little. The best thing about this device is that it can be used for other purposes. I put it in my RV while driving down the road to watch a new item I had installed in the 5th wheel. I wanted to be sure it stayed put. 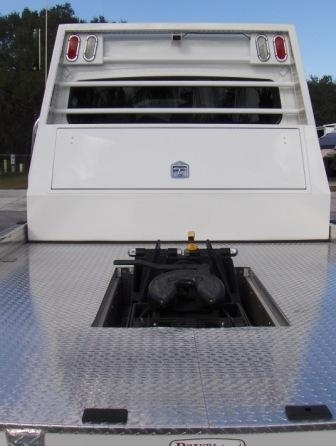 This unit will work for hooking up big and small trailers to cars and trucks, tow vehicles to RV’s, and where ever you need to see something you can’t normally see with out this nifty device! If you have had similar situations of, “no, left . . . no, your other left . 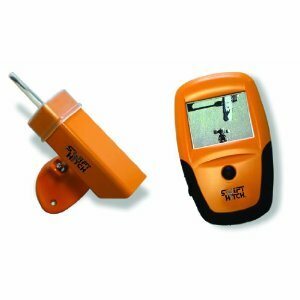 . . go back, your to far right . . .” the portable Swift Hitch back up camera may be just the ticket! I hope you have found this back up camera review useful! 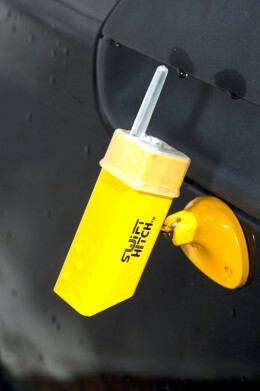 I think every one who has to hook a trailer to a vehicle should be using this product. It’s the only way that you can hook up a trailer by yourself. No more getting in and out of your vehicle to see how close you are to your target! Please leave a comment if you found this page helpful! PS – The device is now available using new technologies if you would prefer to use your smartphone instead of the hand-held device, and sold for less money!